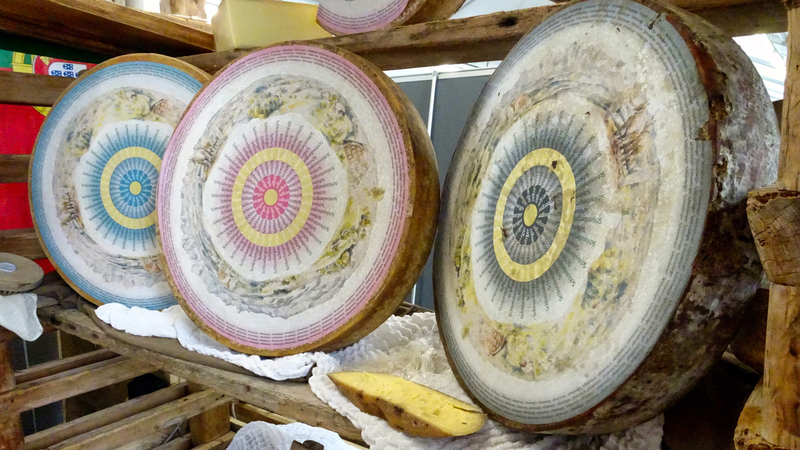 We offer a large selection of handmade traditional cheeses from the British Isles, France, Switzerland, Italy and Spain. At present we do not have an online shopping facility however we are working on it. Meanwhile, if you are not able to visit us in person, but wish to receive our cheeses straight to your door, please give us a ring on 02920 708753 or email us with your request. We will be happy to forward you a parcel of goodies. Cows Milk: Lincolnshire Poacher Vintage, Hafod Organic, Kirkham’s Lancashire, Isle of Mull Cheddar, Westcombe Cheddar, Daylesford Single Gloucester, Appleby’s Cheshire, Teifi, Saval, Thelma’s Caerphilly, Baron Bigod, Comte 18 months, Mr Walo’s Swiss cheeses, Mario Costa’s spooning Gorgonzola, Machecoulais, Secret du Couvent, Colston Basset Stilton, Barkham Blue, Beauvale, Perl Las, Tunworth, Perl Wen, Merry Wyfe, Old Winchester, Sparkenhoe’s Red Leicester, Golden Cenarth, Burt’s Blue, Devon Blue, Cashel Blue, Tomme de Savoie, Petit Tentation, Vacherin Mont d’Or, St Nectaire, Brie de Meaux, Muster Montagne, Epoisses Fermier, Reblochon, Truffle Brie, Reypenaer Gouda. Goat’s Milk: Tomme des Prairies, Saint Maure, Monte Enebro, Rachel, Dorstone, Cabri d’Ici, Mothais sur Feuille, Golden Cross, White Nancy, Peppercorn Crottins, Bocconcino di Langa, Harbourne Blue, Killeen, Perroche, Windrush, Cerney, Ragstone, Pont d’Yeu, Crottin de Chavignol, Valencay. Ewe’s Milk: Ossau Iraty, Manchego, Sheep Rustler, Pecorino Filiano, Wigmore, Brefu Bach, Flower Marie, Pave Cobble, Beenleigh Blue, Roquefort. Buffalo’s Milk: Casatica, Mozzarella Campania, Blu di Bufala, Burrata, Quadrello di Bufala. Mixed Milk: Robiola Bosina, Carboncino, Rosso di Langa, la Tur, Picos de Europa, Bethmale, Ricotta Stagionata.